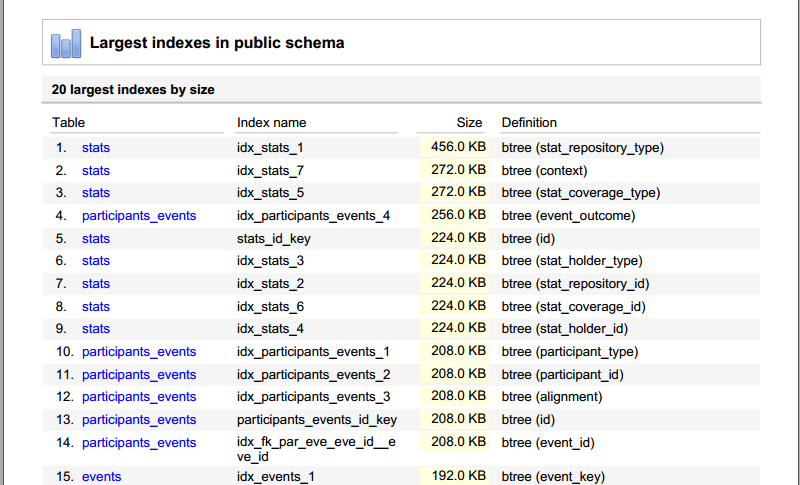 Starting from DB Doc 4, table and index objects now have size properties. 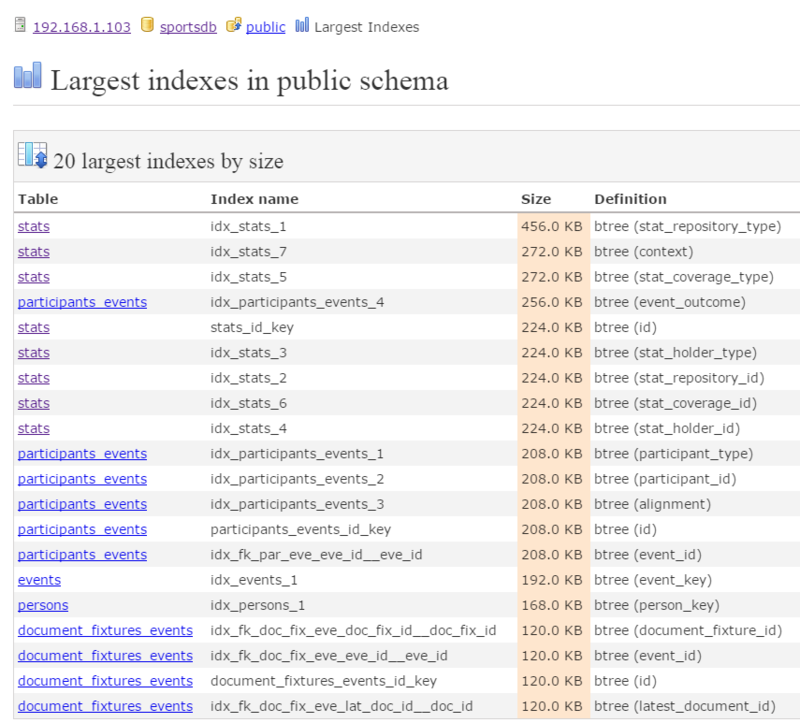 For indexes, there is a single size property. 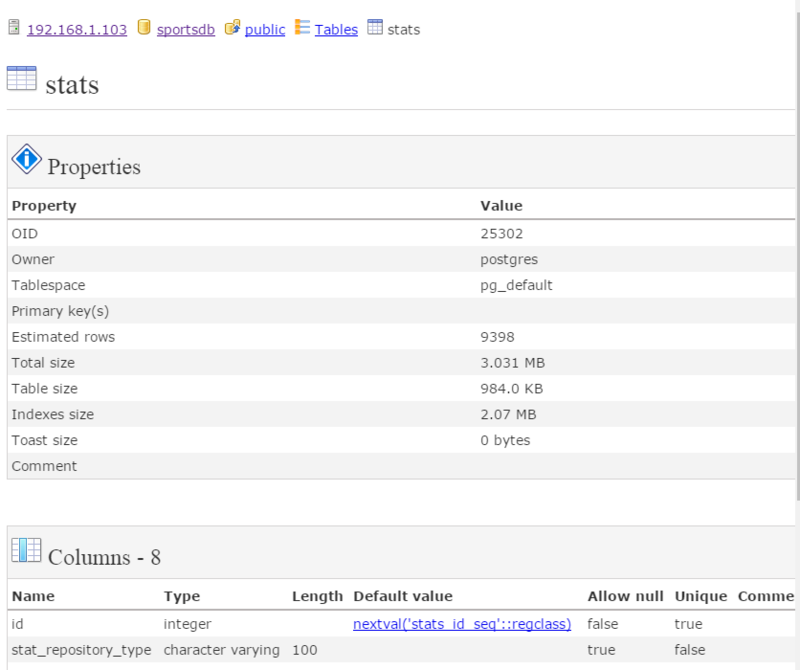 In all the report templates, the size properties are displayed. 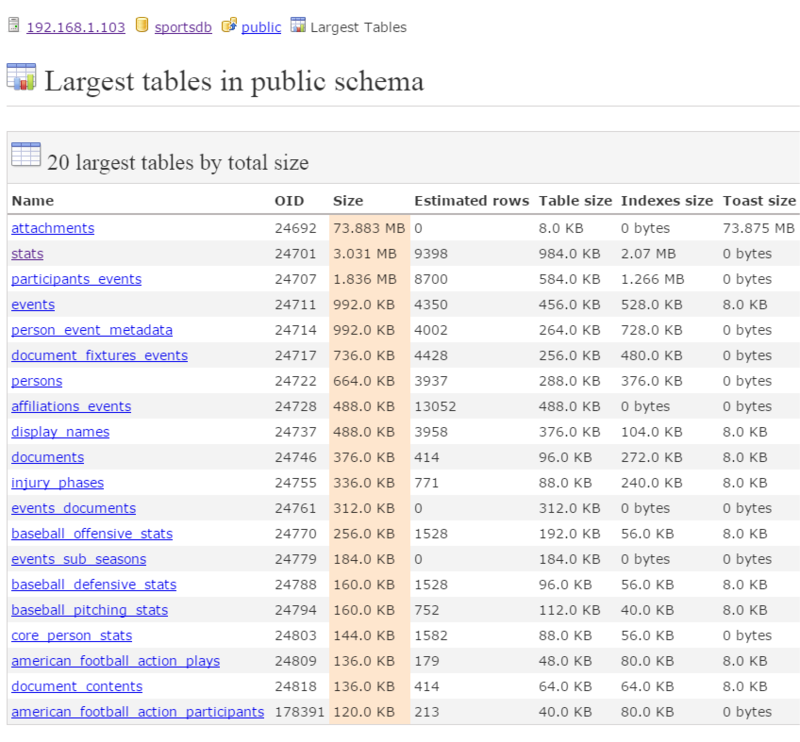 DB Doc also displays the largest 20 tables and indexes by size in the template reports. 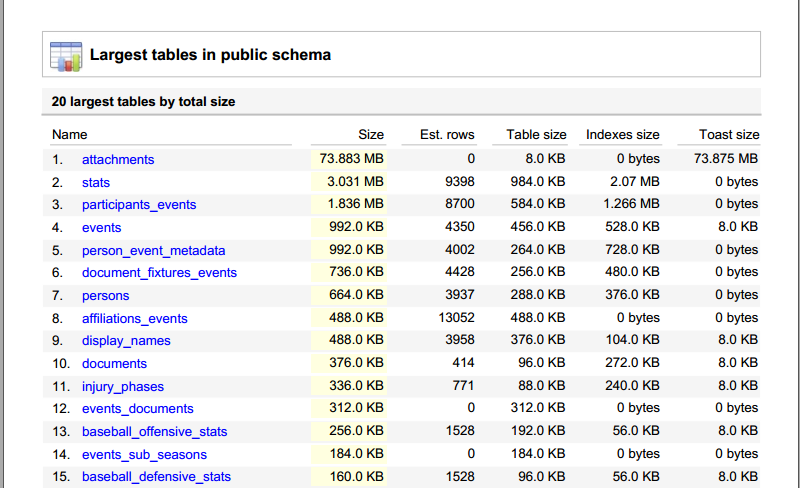 As usual, you can always customize the number of tables/indexes to display, and the details shown. 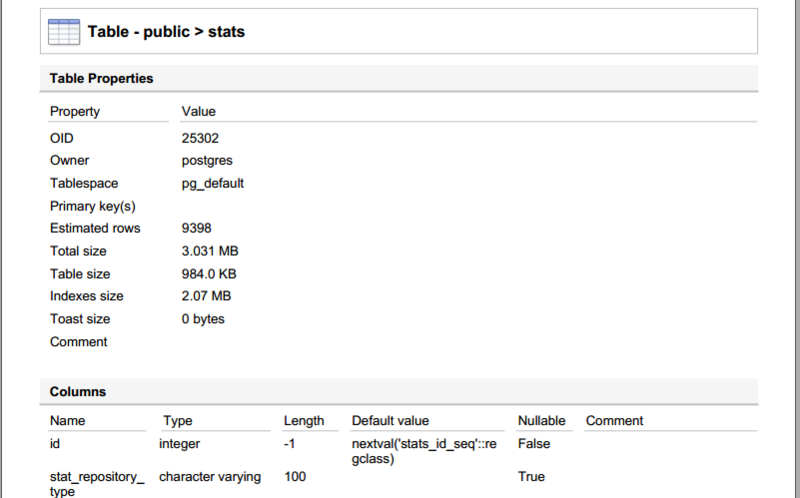 This entry was posted in DB Doc and tagged DB Doc, index size, table size, toast size on April 23, 2017 by bloggyadmin.